At the 2018 Toronto Garlic Festival, we will be selling the following items: garlic bulbs for fresh market, storge and sell Music Ivan and additional varieties including French Pink, Red Russian, Russian Red, Romanian Red, German Mennonite, Elephant garlic (actually a leek) and others for gardeners. Check out the virtual reality tour of our farm at the Toronto Garlic Festival. Simon the Farmer grows approximately 3 acres of garlic ,organically, without herbicides, pesticides, GMOs or synthetic fertilizers. I enjoy growing and consuming the garlic I grow because I know it is full of natures best . I take time to handle and cure the garlic I sell with the utmost tender loving care because I want to provide yearly, for the people who buy my garlic as returning customers. 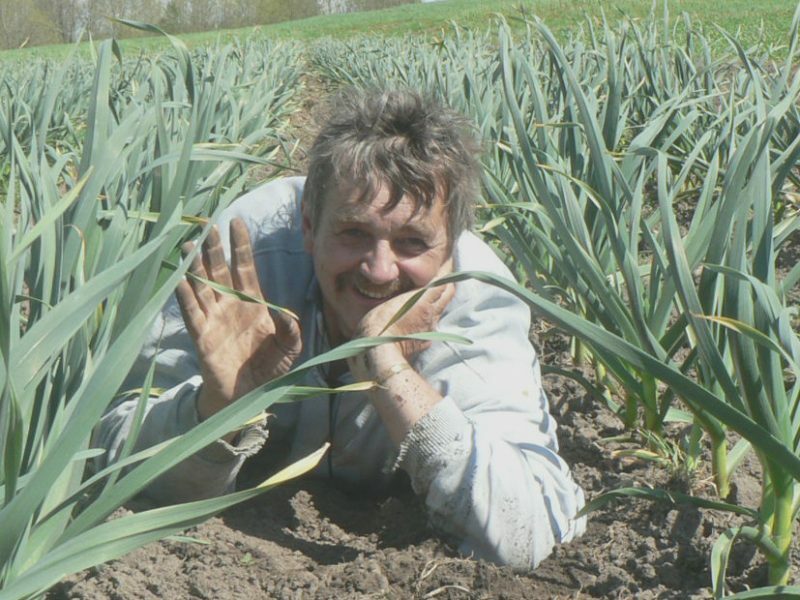 Located in Bruce County, I invite anyone who would like to see the origin of my organically grown garlic to the farm during the growing season, come pick scapes in the third week of June or help harvest in the third week of July. I would gladly give anyone a tour, come breathe some fresh country air. Simon the Farmer is your on site organic garlic supply go to person.